IF YOU LOVE THIS PLANET :: A Weekly Radio Program with Dr. Helen Caldicott » Blog Archive » A Clean-Energy Future without Nukes, Oil or Coal? « What would nuclear winter mean today? 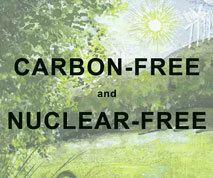 A Clean-Energy Future without Nukes, Oil or Coal? Arjun Makhijani, Ph.D is President of The Institute for Energy and Environmental Research. In this program, Dr. Makhijani discusses his new book, Carbon-Free and Nuclear-Free, A Roadmap for U.S. Energy Policy (2007), which demonstrates that the U.S. and the rest of the world could successfully meet all of its energy needs with renewable energy by 2050. This groundbreaking research should be the boilerplate for all plans to fight global warming. Dr. Makhijani wrote the first study on U.S. energy conservation potential (1971), edited the book Nuclear Wastelands and is the principal author of Mending the Ozone Hole (MIT Press). The Roadmap can be ordered in book form or downloaded free here. This show also includes a clip of a lecture by Dr Caldicott at a 2007 conference. This entry was posted on Monday, August 4th, 2008 at 10:26 pm	and is filed under Uncategorized. You can follow any responses to this entry through the RSS 2.0 feed. Both comments and pings are currently closed.